Last week, Microsoft rolled out Build 16299.15 -- the Windows 10 Fall Creators Update RTM -- to Insiders on the Fast ring, and then also released it to those on the Slow and Release Preview rings. The official Fall Creators Update rollout starts next week, meaning we’re now starting to see builds from the Redstone 4 (RS4) branch making their way to Insiders, as the Fast and Skip Ahead branches merge. Build 17017 for PC arrives today in time for the weekend, introducing some useful new features. First up is Cortana Collections, neatly organized lists of things the digital assistant notices you’re interested in, such as movies, TV shows, restaurants and the like. This is currently only available for EN-US Insiders, but it will make its way to other territories and languages in due course. Watch this video to get an idea of how it works. In the previous feature updates of Windows 10 (including the Fall Creators Update), there were two places to go to see the next action you might need to take: Cortana and Action Center. We heard feedback that this was confusing as it wasn’t clear where to go. The fact that Cortana’s insights and recommended actions lived outside of Action Center also made it impossible to focus Cortana’s user interface on Cortana’s natural language and search capabilities. To fix both of these problems, Cortana’s proactive content is going to migrate to Action Center so that you have one place to go to find out what action to take next and to see the important insights Cortana has for you. 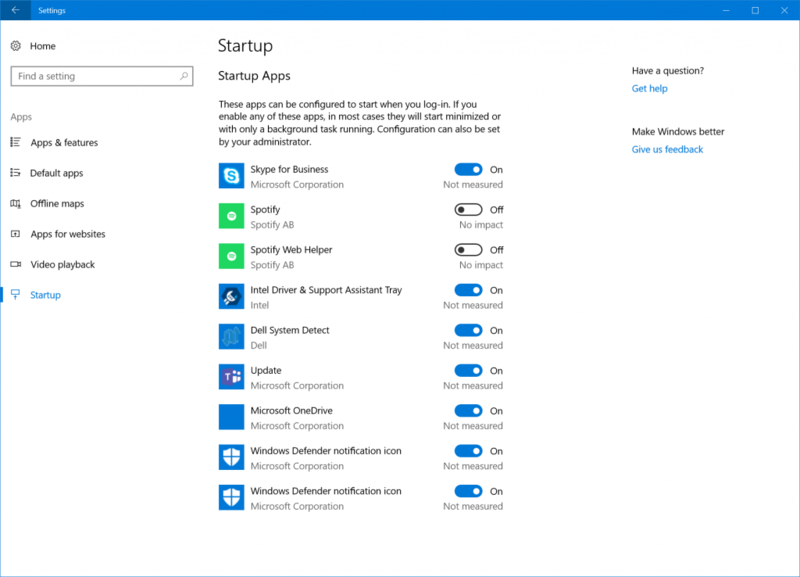 Elsewhere, the list of apps that run at Windows Startup can now be viewed and configured in Settings > Apps, which is a great addition, and one that’s been long overdue. Fixed an issue a small percentage of Insiders were experiencing where uninstalled apps might unexpectedly reinstall after a reboot. Fixed an issue where wallpaper changes might not roam to devices on the Windows 10 Creators Update with "Sync your settings" enabled. Fixed an issue where the "2" character wasn’t rendering correctly in some apps when using the Courier New font. Fixed an issue causing reduced performance in some DirectX 9 games running at high framerates. Fixed an issue where Hyper-V couldn’t create a VM on third party network storage. If you are missing some Feature-on-Demand (FOD) packages such as Windows Media Player, see this Feedback Hub post: https://aka.ms/Rsrjqn. Using a swipe gesture with touch to dismiss notifications from the Action Center is currently not working. 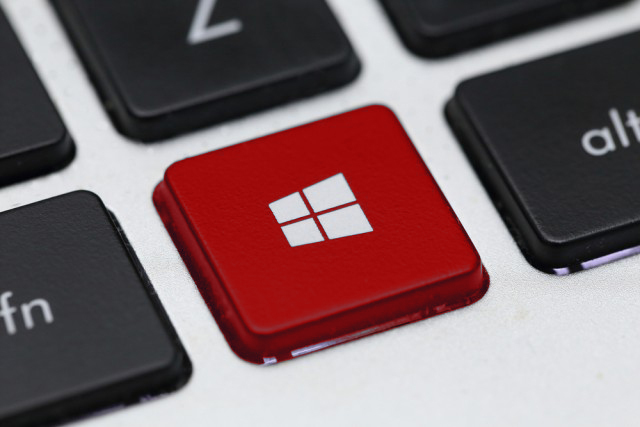 Microsoft is aware and investigating -- for now you’ll need to use the clear all button, or use mouse/keyboard. If you RDP into a PC running this build with certain GPU configurations, when you go to sign in to the PC locally it will appear stuck at a black screen with only the cursor available. If you let it sit for a bit, the PC will eventually recover and you’ll be able to use it normally.